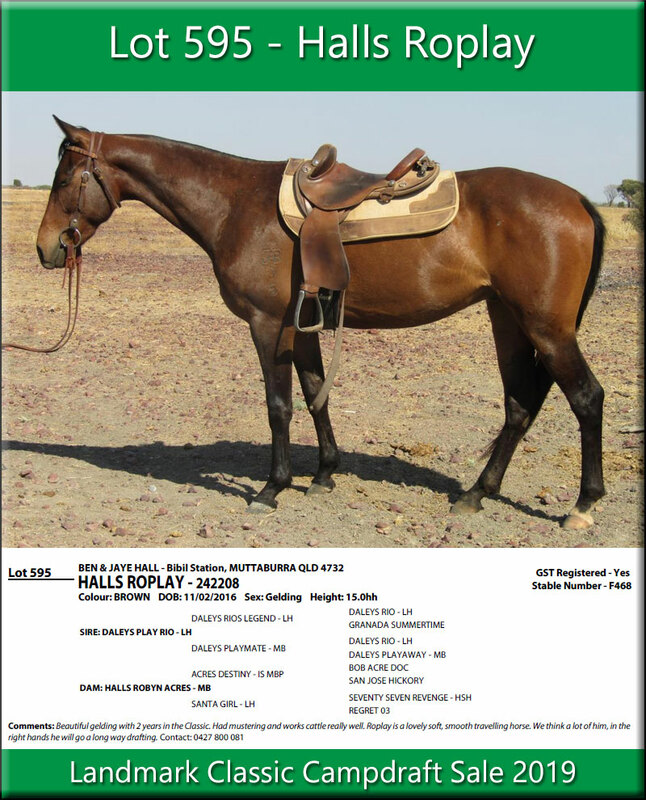 Daleys Playrio’s progeny have amassed wins in many of the major drafts around the country including the Canning Downs draft, ACA Champion Open, Novice and Rookie Horse titles, Paradise Lagoons Restricted Open and Champion of Champions draft, Chinchilla Restricted Open and Ladies drafts and multiple Junior drafts, and all in a short amount of years. 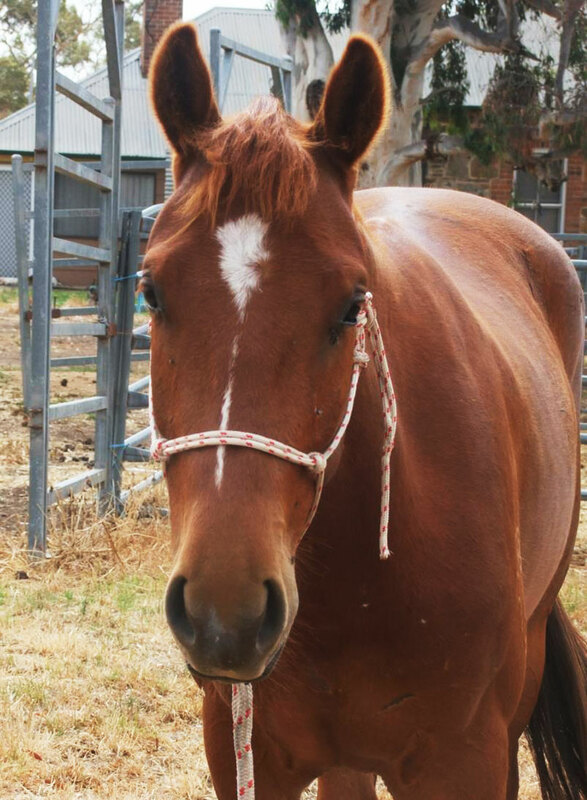 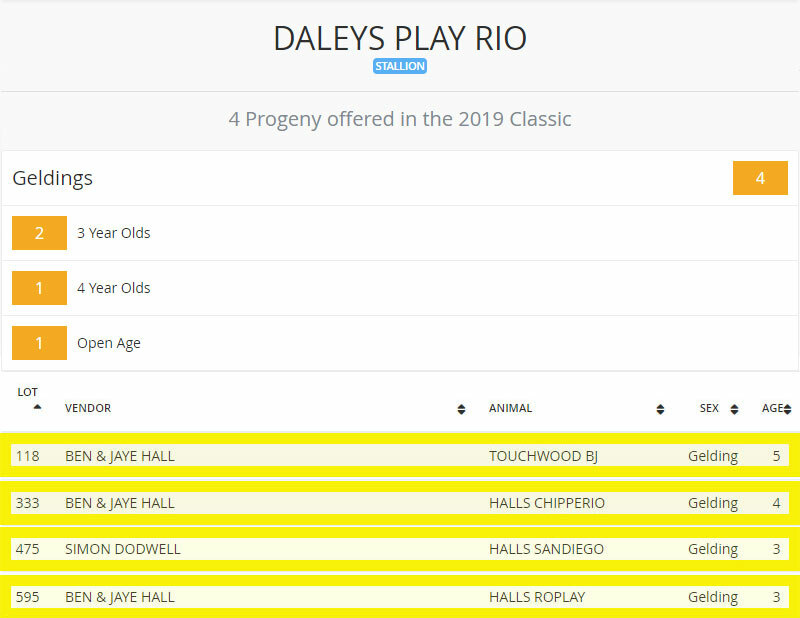 There are 4 Daleys Playrio geldings on offer at the 2019 Landmark Classic Sale, 3 on the a/c of Ben & Jaye Hall. 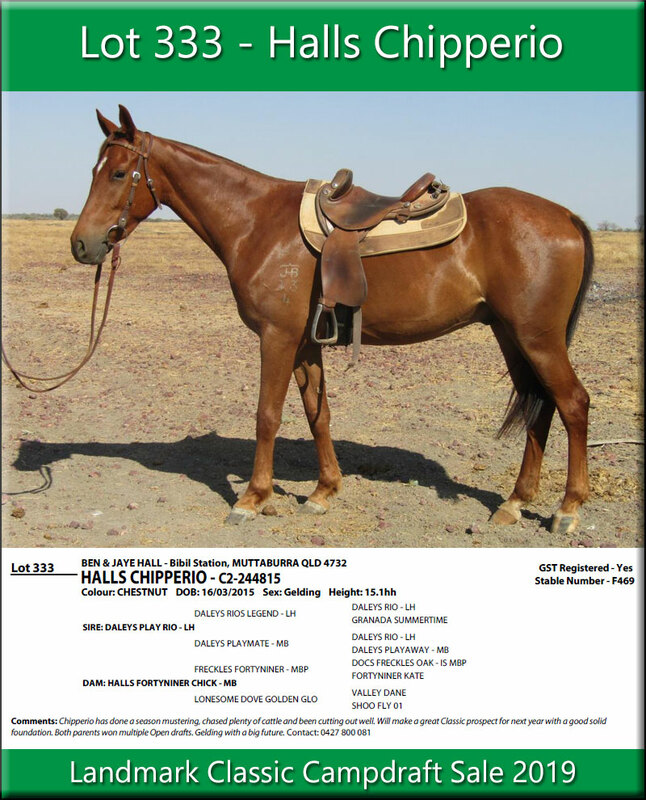 All have done the hard yards mustering, and each live up to the high standard expected of the Hall’s horses. 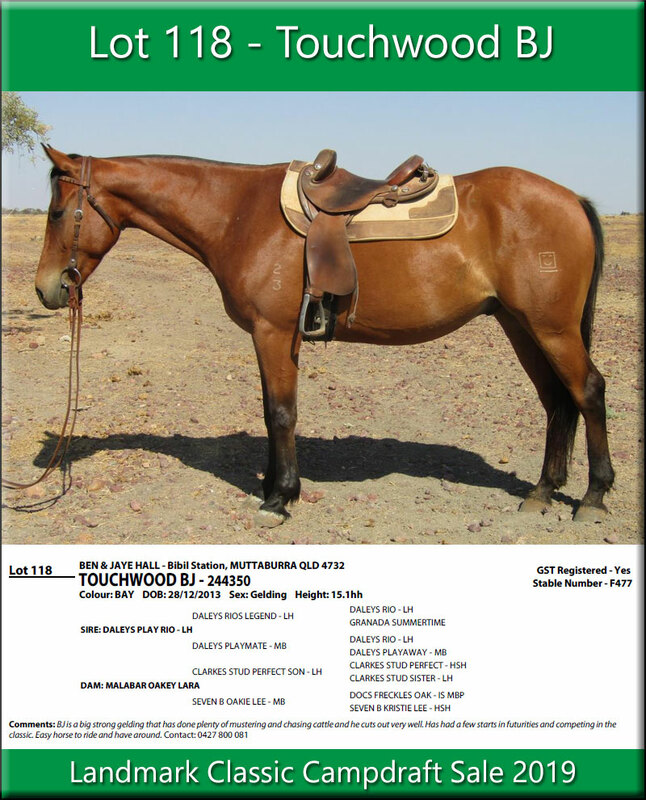 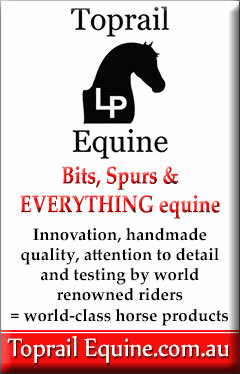 Read the “extra info” in the comments next to each horse to see which one would suit you best!